Share your thoughts about your hearing healthcare professional in the Hearing Directory directory by submitting a review online. 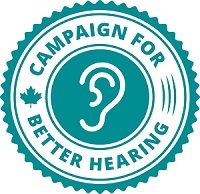 Your review can help others in their journey to better hearing! Select your clinic from the listing and scroll down to click on the button to "Write a review." Enter your name, a star rating and a review of your experience. Click on the "Submit review" button. That's it! Your review has been submitted and will be reviewed by our customer support team within 3 days. Once it's approved, the clinic will be notified, and you will see your comments appear on the clinic's page.